If you’re looking for yoga classes in Seaford you have a wealth of choice. You’re blessed with great local teachers and have several yoga studios in your area. 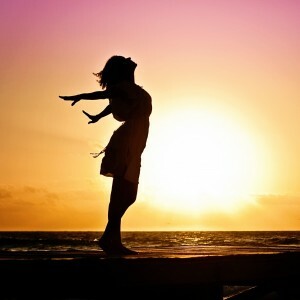 One option for you is The Elements of Happiness, run by Kerrie, who is also a local hairdresser. The Elements of Happiness is more than a yoga studio. Kerrie runs all manner of events in Seaford from yoga and meditation to kirtan. On Monday evenings, she has a special meditation session, with different presenters each week. That’s where the Kundalini Yoga comes in. Kerrie has been kind enough to invite us to participate by providing regular gong baths. So, thanks to Kerrie, there is now regular Kundalini Yoga in Seaford. The sessions are different from regular classes. We begin with 10 or 15 minutes of gentle yoga and then ask participants to lie back and enjoy 45 minutes of the gong. If you’re from Seaford, Carrum, Patterson Lakes, or nearby, this will give you a taste of Kundalini Yoga. Or, if you already attend the Frankston yoga classes, it’s an opportunity for you to enjoy more of the gong. Looking to the future, we’ve heard that there might be a new Kundalini Yoga teacher in Seaford soon. 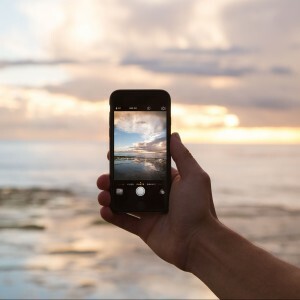 It’s not confirmed yet, but if you follow our social media channels, you’ll hear about it as soon as Kundalini Yoga classes in Seaford commence. 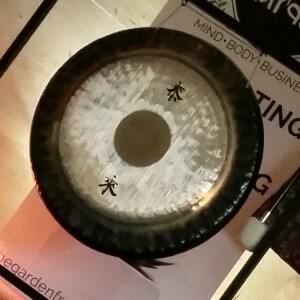 Just as everyone who is relaxing on a mat during a gong bath has a unique experience, gong players also report different feelings, emotions and sensations. However, without exception, we all love playing the gong and are deeply affected by the sounds and vibrations. Most describe being in a meditative state while playing, even though we are fully present to what we doing. Each gong has unique qualities and sounds, and has a different effect when played. We all love our own gongs and the others that our friends bring along, and we enjoy getting to know each magnificent instrument. Gong mallets have different properties too. Some players say that, during a gong bath or gong puja, they are transported into a different realm and feel themselves merging with the universal consciousness, where time seems to stand still and the body is in a state of constant vibration. 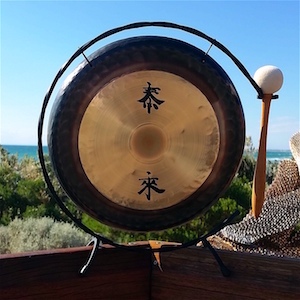 Being so close to the gong physically, we feel these vibrations with great intensity. One regular player at gong pujas speaks of meditating on the nervous system and observing the healing and strengthening that takes place with the gong vibrations. In the Kundalini Yoga tradition, we have been trained to play by people who were, in turn, trained directly by Yogi Bhajan, the person who brought Kundalini Yoga to the West in the 1960s. For extra intensity, and in line with this training, many of us mentally chant and play to a mantra. This takes us into a very blissful, relaxed state of inner shuniya (silence), which is perfect for leading a gong session. We also revel in being on the receiving end, and take great delight in taking our turn on the mat and simply enjoying. Whether playing or being played to, we love the sounds and the effects of these divine instruments. If you’ve been looking for yoga classes or a form of meditation or mindfulness, you’ve almost certainly come across a multitude of different practices. At The Garden, in Frankston, the Present Mindfulness Academy runs term-length mindfulness programs. If you’re looking for a dedicated space for Women’s Meditation and Healing in Frankston, you will find exactly that with Jodie Maree, who is a local spiritual healer and meditation facilitator. Or you may have seen the website for Transcendental Meditation in Mornington. 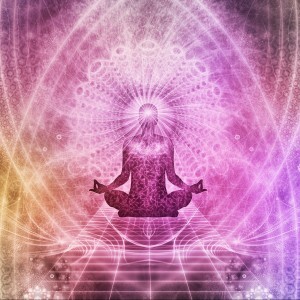 Meditation also forms part of the Kundalini Yoga practice. The distinction with this form of yoga is that most of the meditations at the end of the class are for specific purposes. As with the kriyas, there are thousands of different meditations to choose from. There are meditations for healing, for prosperity, for releasing anger, for the liver, and for each of the chakras, to name just a few. If you find a kriya or meditation that strongly resonates with you, we encourage you to practise it for 40 or 90 days in row to enhance the experience. Some people continue for 1000 days. At first glance, the array of meditation options can seem daunting. As part of your research, you might have noticed that, regardless of the tradition, most forms of meditation originate from the same sources of sacred texts. Perhaps you have seen references to the Bhagavad Gita or Vedic scripture. Over the years, the interpretations of these ancient works have led to the evolution of the different styles of yoga and meditation we see today. With so many techniques to choose from, it can be difficult to know where to begin. However, once you find a style that suits you and meets your needs, you’re sure to feel the benefits quickly. Why no incense and candles? Sometimes people ask about the use incense and candles in the classes. If you’ve come to the yoga classes on the Mornington Peninsula, you may have noticed that we don’t use them. There are a few reasons for this. The main one is that many people are sensitive to the smoke of incense and/or the scent of candles. It can cause an allergic reaction or just be a little unpleasant. Either way, it’s not what we want. Especially if you are working hard with breath of fire or sitting quietly in meditation. That’s also why we don’t use oils or sprays in the room before or during class, even though they are readily available at The Garden, where the classes are held. The essential oils are popular – some people come from surrounding suburbs such as Seaford, Carrum, Frankston South and Mount Eliza especially to pick up their favourite – but we don’t use them in the class. Similarly, as teachers, many of us use unscented deodorants. It’s all about making your experience as comfortable as possible. And the other big reason for not using incense and candles? Many studios are concerned about the potential fire hazard. I’ve never seen a candle accidentally kicked over in a yoga class, but the potential is there. 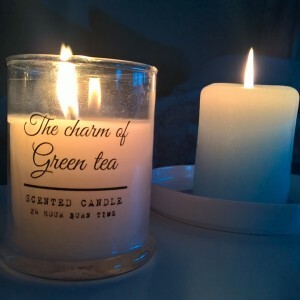 So despite the beauty and – for some – the nice scent of incense and candles, we prefer to leave it to The Garden’s salt lamps and the Kundalini Yoga music to provide the pleasant ambience for our senses. 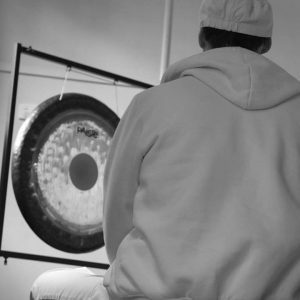 Many students grow to love the gong when we use it during the long relaxation towards the end of the class. In fact, sometimes we wonder whether people come for the gong rather than the yoga. The good news is that there are more options for you if you’re one of those who wants more. Many Kundalini Yoga teachers band together and provide regular gong ‘baths’ (think bathed by sound, like being bathed by light). The gong baths generally feature a number of different gongs of different styles. These gong baths are held all around Melbourne, so they are not hard to find. There are even gong pujas, held all night long. Our colleagues at Kundalini House, in North Fitzroy, hold gong pujas regularly. Here on the Mornington Peninsula, we run regular gong baths at Kundalini Rising Yoga, in Warneet, which is near Tooradin. We have several gongs, set up in a beautiful purpose-built yoga studio. After some gentle yoga, you are invited to lie down and enjoy the vibrations of multiple gongs for 45 minutes. Because these sessions are popular and we have people coming from as far afield as Seaford, Mount Eliza, Tyabb and Mornington, to name a few, we recommend booking for these sessions. Kundalini Yoga is suitable for beginners and experienced people alike. At the beginning of a class, you will often hear the teacher say words like, “Go at your own pace; rest if you need to rest and return to the posture when you are ready”, and similar. You might find some classes – or even some postures – easier or tougher than others, and that’s perfectly OK. Because of injury, or for other reasons, there might even be postures you can’t do at all. Again, that’s quite OK.
It’s all about your own experience. 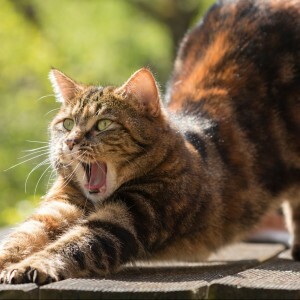 If you’ve been doing yoga for a long time and you feel the need to challenge yourself, you can always try stretching a little more, moving a bit faster or just perfecting the posture. So whether you’re a yoga expert from Edithvale or a beginner from Baxter, these classes are for you. And remember that we can recommend individual kriyas (sessions) for you to take home. This way you can continue your home practice, at a level that suits you. One of the delights of Kundalini Yoga in Melbourne is the sense of community. That’s not to say that if you come to a yoga class in Seaford or Mt Eliza or anywhere else on the Mornington Peninsula that you are expected to suddenly join in group activities. However, you will find that many of the teachers know each other and will support your yoga practice by referring you to a class that is closer to your home or workplace, or perhaps one that runs at a time that is more convenient for you. So if you live in Langwarrin and work in Carrum, but can’t make to our regular class, we will suggest some other options. Perhaps Jody’s class in Warneet, or Doug’s in Aspendale. Or Josephine’s yoga class in Rosebud. We’ll give you the latest updates on whether these classes are still running, or whether the yoga class in Chelsea Heights is on hold. Just ask – we’re community minded and want to help you find a class that suits you.